The accomplishment of these two new site features is the result of a great collaborative design-build effort between the Storefront, the community of Kingston-Galloway-Orton Park, many volunteers and financial supporters, and a professional design team including ERA Architects, Sustainable.TO, Blackwell, Patriot Engineering, Architext, AtomsEco, Direct Construction, Under Construction, and Tensile Integrity. 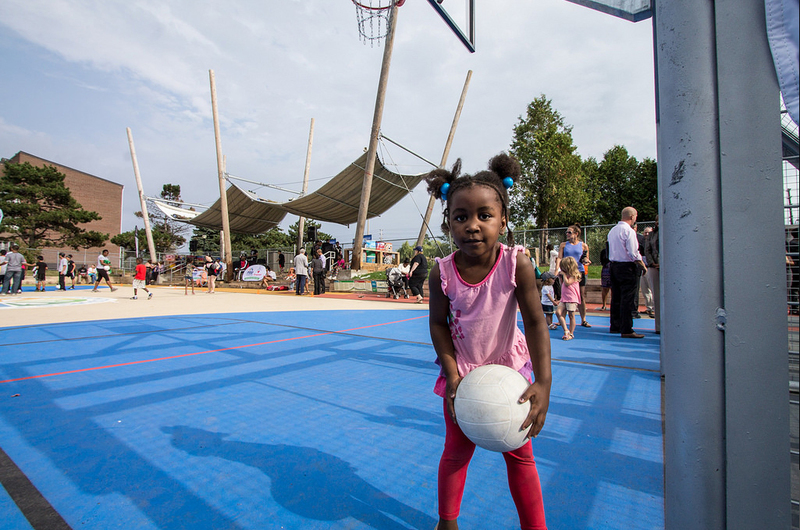 Present on Wednesday were hundreds of community members, young and old, exploring the new designs and enjoying very good weather despite the forecast of rain. 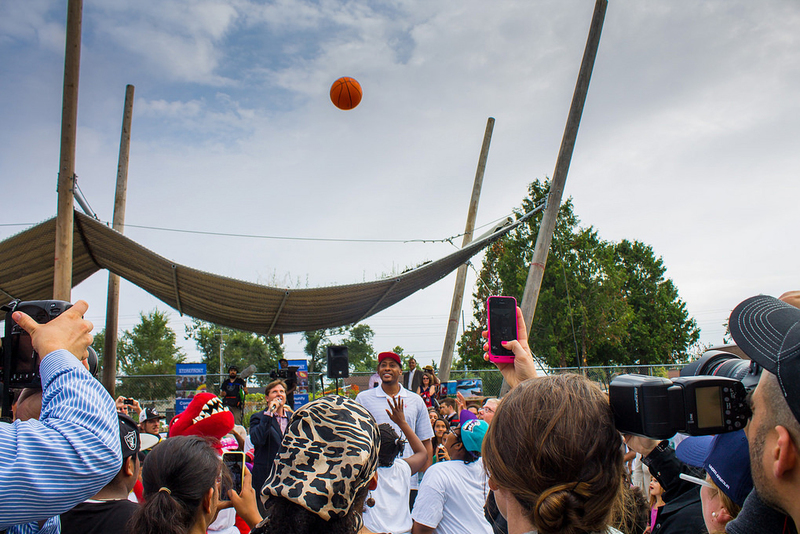 Members of the Toronto Raptors (including their mascot, “Raptor”) and Toronto FC were on site running basketball and soccer clinics. Children played ball games and danced as the DJ spun tunes; the smell of BBQ wafted through the air. Developments continue in this vibrant community, and provide a wonderful example of how community engagement, owner collaboration, and creative thinking can make a huge difference to the landscape of tower communities. The incremental, but significant, change taking place at the Storefront gives inspiration to the entire Tower Renewal project, and shows the massive community potential available to Tower Neighbourhoods all over the GTA.